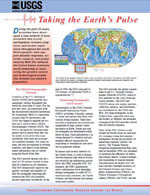 When an earthquake occurs, one of the first questions is "where was it?" The location may tell us what fault it was on and where damage (if any) most likely occurred. Unfortunately, Earth is not transparent and we can't just see or photograph the earthquake disturbance like meteorologists can photograph clouds. When an earthquake occurs, it generates an expanding wavefront from the earthquake hypocenter at a speed of several kilometers per second. 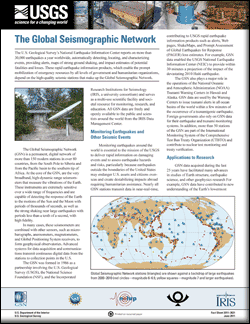 We want to find the location, depth and origin time of an earthquake whose waves arrive at the times measured on each seismograms. We want a straightforward and general procedure that we can also program in a computer. The procedure is simple to state: guess a location, depth and origin time; compare the predicted arrival times of the wave from your guessed location with the observed times at each station; then move the location a little in the direction that reduces the difference between the observed and calculated times. Then repeat this procedure, each time getting closer to the actual earthquake location and fitting the observed times a little better. Quit when your adjustments have become small enough and when the fit to the observed wave arrival times is close enough. Note the scale at the left of the figure. It shows travel times for waves from an earthquake at a depth of 6 kilometers. The scale starts at 1.3 seconds because the wave reaches the surface 1.3 seconds after the earthquake origin time. You can make a tracing of the scale and move the earthquake on the map until the tentative travel times match the travel times from the scale. Where do you think the earthquake was? Are the times for each station systematically early or late, requiring a shift in the origin time? The earthquake was near station C. The depth was about 6 km and the origin time was about 10 seconds. (We guessed very well!) A real magnitude 3.4 earthquake occurred at this location on April 29, 1992. It was felt by many people who were sitting or at rest. Mathematically, the problem is solved by setting up a system of linear equations, one for each station. The equations express the difference between the observed arrival times and those calculated from the previous (or initial) hypocenter, in terms of small steps in the 3 hypocentral coordinates and the origin time. We must also have a mathematical model of the crustal velocities (in kilometers per second) under the seismic network to calculate the travel times of waves from an earthquake at a given depth to a station at a given distance. The system of linear equations is solved by the method of least squares which minimizes the sum of the squares of the differences between the observed and calculated arrival times. The process begins with an initial guessed hypocenter, performs several hypocentral adjustments each found by a least squares solution to the equations, and iterates to a hypocenter that best fits the observed set of wave arrival times at the stations of the seismic network. 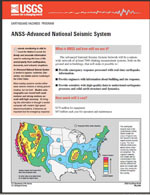 Map of historic seismicity, major faults, and paleoseismic summary of San Andreas Fault system. USGS scientist John Hamilton installing a seismograph in the offices of the major-league soccer team San Jose Earthquakes’ new stadium. USGS volcano seismologist David Harlow conducts analysis of Mount Pinatubo seismicity. 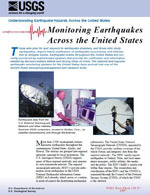 Three Component Seismometer: The image above shows a three component seismometer used by the USGS for the collection of H/V data (Public domain).